Sienna has survived what most succumb to--the death of a spouse and child--and she has maintained her faith despite her troubles. William has never met anyone who actually lived out what they say they believe. 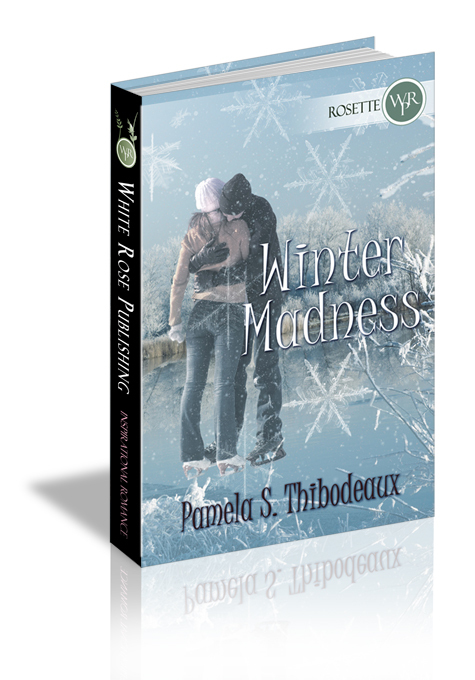 Is it true love between the faithful optimist and broody pessimist or simply winter madness? William’s eyes widened, and his breath caught. There she sat all soft and glowing. A ghost from his past. He hesitated, blew a soft rush of air to cool the steaming brew he’d just purchased. A sigh escaped followed by a resigned shrug. There was no way out of the meeting now. Only a few steps separated them physically, miles emotionally. One hurdle at a time, he thought, and joined her at the table for two beside the window. “Good morning,” she breathed up at him, every year of distance, every minute of longing reflected in her voice—as though she’d been waiting for him all along, just as she promised so long ago, and again not so long ago. William shrugged. God knew he’d never be able to live through what she had, which is why he’d never settled down and married. Fear of the unknown had always been his biggest obstacle. That, and the fact he’d yet to find someone who could understand, or at least tolerate, his idiosyncrasies. He’d heard all the rhetoric about faith and the power of it to make one’s life simpler, easier, and more harmonious. However, he’d never met anyone who actually lived out the concept—just the opposite, in fact. Nearly everyone he knew who professed to have faith, lived lives as screwed up as his. Sienna knew that people sometimes found it hard to understand the whys and wherefores of her faith despite the challenges she’d faced in her life, especially the death of her husband and daughter. She took a moment to send up a silent prayer. How could she explain something so personal and so deep as her faith in God? “That’s faith—faith that the chair is well built and will hold you. But the faith I have is that God is in control of my life and no matter what may come my way, He will see me through. “I understand you’re asking how someone gets through the death of a spouse and a child. Believe me it’s not an easy thing to do. But true faith lives on even when we don’t understand, even when we don’t want to. And, there was a time when I didn’t want to either. I’ll never forget that day as long as I live, or the way God showed Himself to me in my darkest hour.” Encouraged by his rapt attention, she mustered up the courage to continue her tale.